I've been doing a bunch of stuff with the Humane Society and other animal adoption programs. 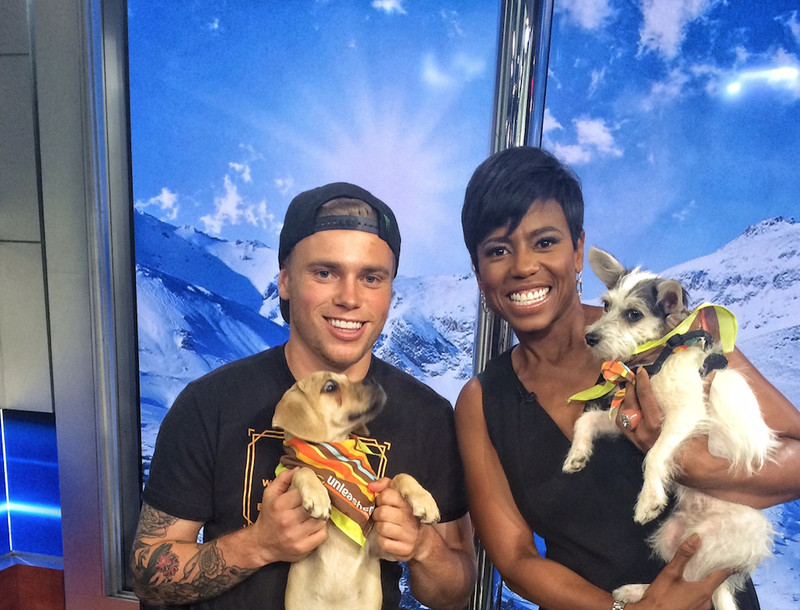 My friend Robin and I brought home five stray dogs from Russia after the Olympics this year. The Humane Society International helped us in the process and since then I've done a few charity events for them. Meet and greets, coming to adoption events, that kind of stuff. My family dog growing up was one that we got from the shelter and I just feel that animal adoption is an amazing way to find your next pet. Why buy an animal when you can save one's life? I guess I'd just like to encourage anyone looking to get a new dog or cat to please go take a look at your local shelters and to think adoption first. To me social responsibility is using your influence over people in a positive way. Whether I like it or not I've become a role model for a lot of young skiers and young kids and I'd like to impact them in a good way. I have the Olympic rings on the inside of my right bicep. The Olympics were a big milestone for me. The qualifying process was the most stressful month of my life and then to make it there, land the best run of my career during the final and to meet the stray puppies that would become my beloved dogs, was all a very surreal experience. I have a tattoo that says "Hoot" on the inside of my left wrist. It's the name of my childhood best friend and I got it when I was 14-years-old, the year he passed away.